Yeah you read the title correctly. Another black woman has been accused of having explosives in her natural hair. This time the incident happened at the Atlanta Hartsfield-Jackson Airport. 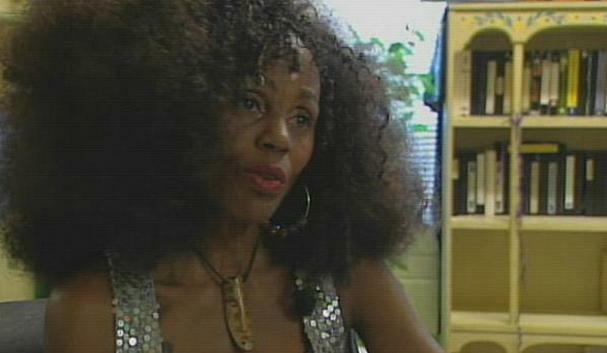 Isis Brantley, a 53 year old Dallas, Tx haristylist who hasn't cut her hair since she was 12, says that she was unfairly singled out by TSA for having big hair. Isis Brantley was flying home to Texas when she said two TSA representatives dug down to her scalp checking for weapons and explosives. “I just heard this weird voice saying ‘stop. Lady, don't go! The lady with the big hair, stop,' ” Brantley told Channel 2’s Diana Davis. Brantley told Davis she's used to TSA screenings and pat-downs, but she said what happened Monday went too far. After she cleared security, Brantley said two TSA agents followed her down the escalator to the concourse trains telling her to stop. “Basically they said, ‘We have to check your hair for explosives’ and I thought they were kidding me. I just thought it was a joke. I was shocked. Everyone was shocked,” Brantley said. Brantley said that’s when the two agents searched her head on the train platform, with no offer of privacy. “It was so humiliating. The spectators were looking. I let her touch my hair and she just kept digging, digging at my hair, digging at my scalp,” Brantley said. The TSA said additional screening may be required for clothing, headwear or hair. It claims Brantley left the checkpoint before the screening was complete and refused private screening. “This is what I’m hoping, that this is not a race card and that you are not targeting people who’s hair grows totally differently than anybody else’s hair. My hair is my crown. This is my glory, my spiritual journey to connectedness to my African-American culture. Don’t touch my hair,” Brantley said. Brantley may be reluctant to blame it on race but I'm not. How many black women you know are going to put some damn explosives in their hair? I know sistas who won't go swimming because of their hair, but yet you think they're going to put some explosives in it. Child Please!!!! Until I hear about some white women from Texas or New Jersey having their big hair searched, I'm going to say this mess is racist. As TheEducator said, "I guess you can't go natural and fly on a plane." I guess not! So sistas if you are reading this I guess you better slap some of that creamy crack in your head if you hope not to be embarrassed by the TSA the next time you fly.